Los Angeles - is the main gateway to the USA from Australia and is a buzzing and irresistible city. Home to many top tourist attractions like the Hollywood Walk of Fame and not far from Disneyland California, Los Angeles is definitively a popular holiday destination to explore. And with award-winning dining and shopping, you've all the ingredients for a fabulous American holiday. As the USA’s second largest city, it's a thriving multi-layered city filled with world class museums, music, restaurants, shops and architecture. Each of the city’s diverse neighbourhoods offers its own kind of unique adventure. Las Vegas - never sleeps and is one of the best adult playgrounds in the world with world-class casinos, nightclubs, restaurants and mega hotels. Vegas is like no other city in the world! On any given evening you'll find hundreds of exciting entertainment events such as the renowned Cirque du Soleil, sporting events, and performances by world famous entertainers. San Francisco - is a comfortable 6-7 hours drive from Los Angeles on spectacular Highway One. It's one of the most popular travel destinations in the USA. 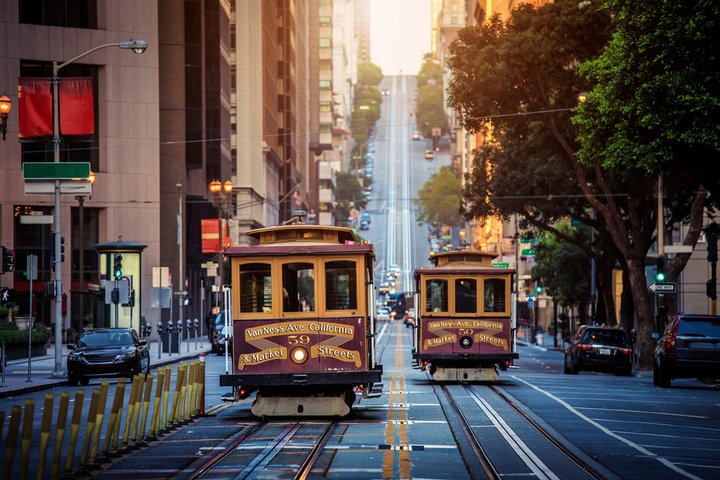 Steep streets lined with Victorian era houses, a great turquoise bay surrounded by low mountains and antique cable cars that still shuttle passengers up and down the city slopes, all make San Francisco one of the most picturesque cities in the US. New York - A trip to America isn’t complete until you’ve been to New York City. It’s a place you'll never forget. 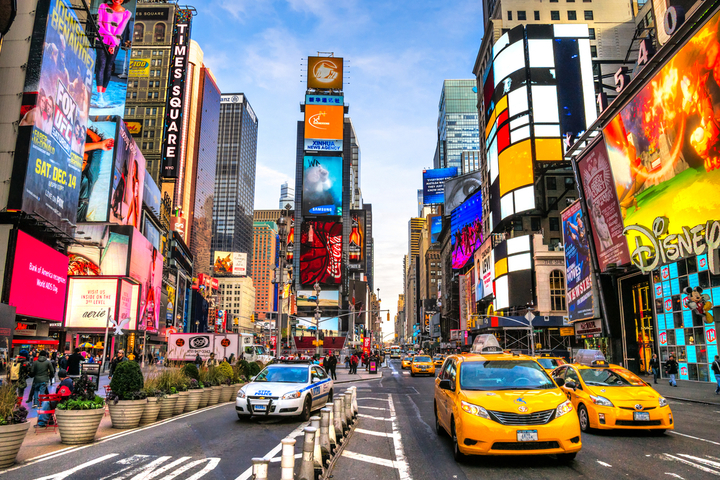 Spend days wandering around this exciting city filled with popular attractions; the Empire State Building, Statue of Liberty, the Rockefeller Center, Times Square, Staten Island Ferry, Brooklyn Bridge and So Ho, just to name a few. The shopping is amazing as are the galleries. See a Broadway show and hire a bike and cycle through Central Park, where you'll soak up the atmosphere of this amazing city. Hawaii - Relax and rejuvenate in the tropical paradise of the Pacific. 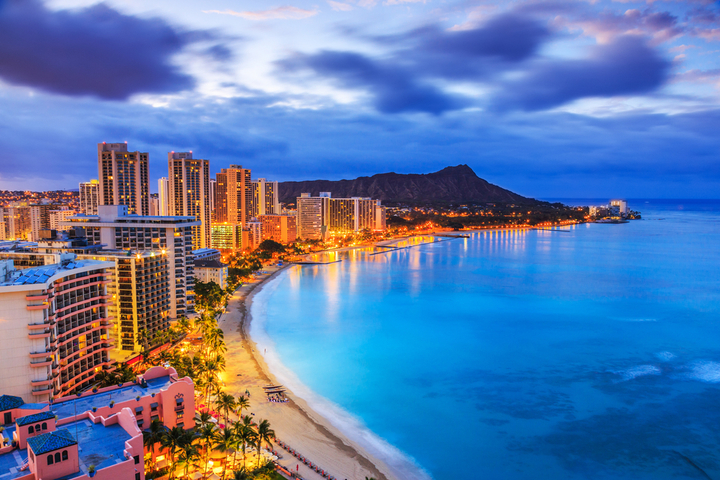 Hawaii has plenty to offer as a top holiday destination. Can't see your destination? Don't worry! We can help! There's so much to see and do in America! Have family fun in Disneyland, go shopping in LA, enjoy Big City experiences in New York, entertainment in Las Vegas, sightseeing in San Francisco and have an Hawaiian beach escape, just to name a few. Viva! Holidays is your one-stop-shop for an amazing fun-filled American holiday. Receive a $100 Travel Voucher for your next trip on us! Our Exclusive Discount Offer is valid per booking (total) and only added to your final invoice. The discount offer is subject to your booking criteria and will be valid on which booking tier you fall into. The discount offer is not redeemable for cash. Your booking must not contain 'low cost' carriers - Jetstar (domestic and international) / Air Asia / Tiger Airways as we can't extend the offer to you, without charging you a booking fee of $75 per person. Be Rewarded bundle is offered in conjunction with the Bayside Hub Exclusive Travel Offers and must have a minimum of 3 nights booked with us to qualify. We will give you your Lonely Planet book (valued at $39.95) with your final documentation. 10% Travel Insurance offer valid on Comprehensive and Essentials policy. Minimum travel offer spend value must be reached to earn 'be rewarded' bundle offer.